Blackened steel has had its day as a trendy and modern interior finish material, particularly for fireplaces and kitchens, but it might not be a material you associate with fine jewelry – unless, of course, you’re familiar with this intriguing little gem. 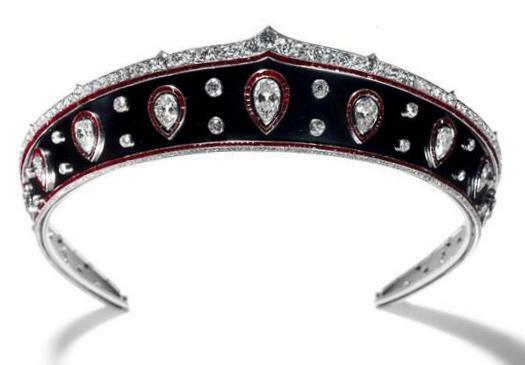 This tiara combines blackened steel, steel that has been treated so that it has a darker finish, with platinum mounting and precious stones in a kokoshnik shape. 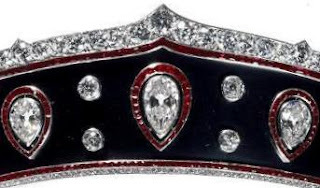 Bordered by bands of calibré-cut rubies and old-mine and rose-cut diamonds, the center portion of the tiara includes thirteen pear-shaped diamonds set in calibré-cut ruby frames and single circular-cut diamonds set on the stark background created by the blackened steel. 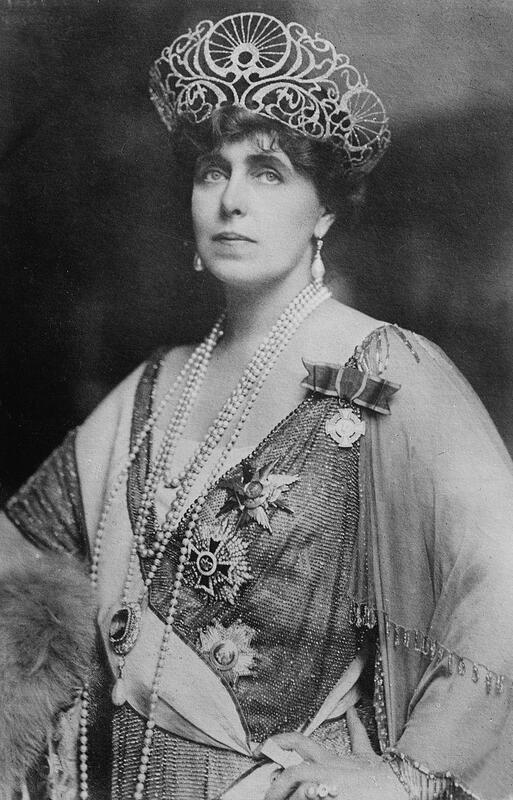 The tiara was made to a special order in 1914 by Cartier. It is among a series of kokoshnik-shaped tiaras made by the French firm around this time that experimented with materials beyond diamonds and their valuable gem counterparts. Others included the Yusupov Rock Crystal Tiara (made in 1911) and the Cartier Onyx Tree Kokoshnik (made in 1914). Using steel made for a less expensive tiara. The Blackened Steel Kokoshnik was made for Queen Marie of Romania (1875-1938). 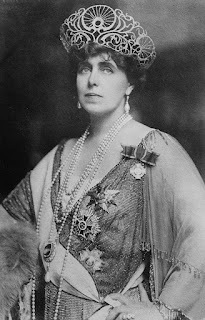 Born Princess Marie of Edinburgh, she married Crown Prince Ferdinand of Romania in 1893 and became queen consort the same year this tiara was created. Marie’s marriage was not the best match, but she grew to be passionately devoted to her adopted country and was a popular and influential figure. This is a striking and unique tiara, and it seems it would have been well suited to such a striking and unique queen. While other jewels that belonged to Queen Marie were lost or dismantled over time, the kokoshnik made its way back to the Cartier collection. It’s now often used in Cartier exhibits, where it can be admired by all. Is this one refreshingly different, or does it leave you longing for more traditional materials?